In Part 1, we considered a couple of scenarios in which parental alienation is likely to take place. Now we’ll consider some practical advice for presenting your case to the judge as well as information about how to prevent alienation and how to reverse indoctrination once it has begun to take hold. 1. No More Mr. Nice Guy — Exposure and Truth-Telling. You can help prevent indoctrination and help your children resist alienation attempts by paying very close attention to your children’s behavior toward you and by documenting everything you notice meticulously. If your high-conflict ex-spouse attempts to turn your children against you, you MUST bring it to the Court’s attention as soon as possible. You will need the detailed documentation. It may very well be the case that the judge does not take it seriously or doesn’t know how to handle it. You may not have the experts lined up to prove the damage it’s doing to your kids, but there’s another important reason that you need to bring it out into the open—you need to be able to talk to your children about what is happening and you need to be able to counter the lies that are being told about you. Exposure and truth are the only way to begin to reverse this kind of indoctrination, and often it comes down to whether you can prove to your kids that they are being lied to—this is mind control, and your wife has gotten a head start. More than likely your kids will think you are the one who is lying if you say anything that is contrary to what their mother has said. If you do not bring this to the Court’s attention, you’re taking a big risk if you talk to your kids about what’s happening and start telling them the truth to counter the alienation. This is one more thing that could be used against you in court when your wife complains about YOU violating the court orders by talking to the kids and disparaging her. 2. Making Your Case. It is true that the legal system for the most part does not have the stomach to remove a child from the alienating parent he or she most closely identifies with, even though it’s a very unhealthy alliance. It’s also very, very difficult to prove alienation, and there is a lot of controversy about the concept. As a result, there is a tendency for judges to flat-out refuse to consider claims of alienation—in fact, the mere mention of the word “alienation” is usually enough to raise a judge’s hackles. Claims of parental alienation are often viewed with suspicion and doubt because “parental alienation” has become a trendy catch-phrase that is sometimes used by parents as an excuse to avoid their responsibilities to their kids. 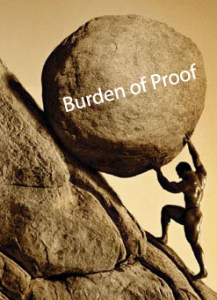 When making your case to a judge, unless it is a judge who is well known to be pro-active in cases of parental alienation, it’s usually better to describe the problem in terms such as “the mother is lying to the children and instilling irrational fears about their father” or “the mother is unwilling to co-parent and is excluding the father from their lives” or “the mother is withholding the children during father’s time with the children and is damaging their parent-child relationship.” All of those descriptions paint a clearer picture than claiming that the mother is alienating the children from their father, which could mean almost anything. You will have to prove your case, and that will require more than just your word against the word of the kids’ mother. This is where your documentation will play a vital role. If you have been documenting as they occur the behaviors of your children and your ex-wife, your journals should be admissible as evidence. The fact that you have consistently journaled about these events lends credibility to the testimony you’re presenting to the judge. It will often be the case that you don’t know exactly what your ex has said or done to cause the change in your children. In these cases, it’s important that you document in detail what is going on with your children. Pay particular attention to comments your children make that sound like they have been rehearsed or which sound awkward and unlike the type of things that children say spontaneously. For instance, if you tell your child that you look forward to seeing them on the weekend and your child says in response, “You’re so irresponsible, you probably won’t even pick me up” it’s probably something your child has heard from their other parent. An 8-year old is not likely to spontaneously conclude that his father is “irresponsible” and would not describe it in those terms. If your child refers to you as “unstable,” “abusive,” “erratic,” “labile,” “narcissistic,” “lazy,” etc., those terms have likely been implanted through repetition by their other parent. Kids don’t come up with these concepts on their own. Document the exact words that your child uses as well as the context in which these things are said. While journaling about these behaviors and attitudes of your children, note how the behaviors are different compared to a time before the alienation started and note the lack of any precipitating event that would give rise to these attitudes. Also note how it makes you feel as a parent. You will need an expert to interpret the behaviors of your child and explain them to the judge or jury, especially if you have no direct evidence of what their other parent has said or done to cause the changed attitude in your children. It is important that you find an expert who has significant experience with parental alienation—this may not be easy. Do not assume that all child behavioral health professionals are experienced in recognizing the signs of alienation. This is so important, it could make or break your case. If the court appoints a custody evaluator (usually a social worker or family therapist), do not count on that court-appointed professional to pick up on alienation or to believe your side of the story. In my experience, court-appointed custody evaluators more often than not side with the alienating parent because they take everything at face value. If they interview the children, the children may report that they prefer to be with their mother and they may say they are afraid of you or that you don’t take good care of them or whatever it is that they have been programmed to think and feel. The custody evaluator will usually just take the kids at their word and they will assume that you have done something to have caused the difficulty with your children. You can count on your ex-wife lobbying the custody evaluator aggressively and, all too often, these lobbying efforts are effective in influencing the evaluator. Just like your ex can indoctrinate your children, your ex can also indoctrinate the professionals who have influence over your fate with your children. Hire your own expert who will be ready and able to challenge the court-appointed custody evaluator, if necessary. Your expert needs to be able to describe the process of indoctrinating your children and the devastating effects it will have on your parent-child relationship. 3. Be a Perfect Parent. Well, no one is perfect, right? But, especially while you’re fighting this battle, you have to be as close to perfect as possible. That means don’t ever miss your visitation and don’t ever miss an opportunity to connect with your children. As long as you are not restrained from seeing them or placed on supervised visitation, you do not have to limit your contact to every other weekend or whatever your orders provide. Establish a regular presence at the kids’ schools because their mother will be smearing you to the teachers and school administrators; if those folks can observe for themselves that you’re a loving, caring parent and not a hump-backed ogre, they cannot as easily be roped into believing lies about you. If they are called to testify in court, it will be hard for them to say negative things about you if they have their own positive experience of you. Go have lunch with your kids at school; sneak them encouraging or silly notes in their lockers; send them cards in the mail; set up email accounts for them that their mother cannot access; purchase cell phones for the kids and keep their plans up to date so there is an open line of communication; be available and always put them first; don’t be late picking them up; always keep your promises to them; be at every game, concert, recital, open house, etc. ; show up at practices or rehearsals and get to know coaches and instructors. The more time you spend with them the better because when they are experiencing you live and in person on a regular basis, it will be harder for negative perceptions of you to take hold. As tempting as it may be, do not talk negatively about their mother—particularly not in a spiteful or gratuitous way. That’s not to say that you cannot correct lies their mother tells them, but you cannot just come out and call their mother a liar—it will be a conversation stopper. This kind of discussion with your children may best be handled with the help of a professional counselor. Again, be careful about the professionals you choose because if you select someone who is not experienced in dealing with alienation issues, you could actually further the alienation process rather than alleviate it. I typically recommend that clients participate with their children in family counseling when alienation has started to affect a child’s attitude and behavior toward the target parent. In that case, your child will have some irrational beliefs about you that you will probably find maddening. Communication will be difficult, and your child may refuse to even talk about it with you, in which case you should not force the issue—but you also cannot afford to drop the issue altogether. Get professional assistance to guide the conversations. You may find yourself feeling anger toward your child because behavior such as this hurts and feels like betrayal. It is not your child’s fault and you cannot direct your anger at your child—this will further alienate him. Your child is being manipulated and controlled just like you were when you were married to the high-conflict woman. Be aware of what you are telling yourself as this is happening. Too often, a target parent internalizes the rejection and buys into the distortions, believing that the child doesn’t love him and doesn’t want to be with him. I’ve seen a few dads give up on having a relationship with his kids—he stops insisting on visitation, he stays away from schools and sporting events out of shame and ultimately he loses any connection with his kids. This is devastating to children and to the alienated parents who love them. Do not give in to this kind of treatment! It is not your authentic child who is rejecting you—it is a programmed, scripted Stepford child who needs help sorting things out. It’s not fair, it hurts, it is stressful and demeaning, but if your child is being trained to fear or hate you, your child needs you to help him find his way back to a loving relationship. 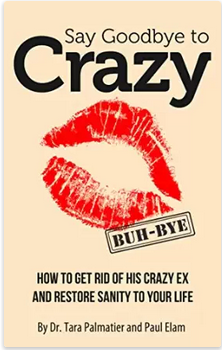 Do not help your crazy ex deprive your child of a loving relationship with you. *Please note: Although we are speaking in this context of the mother being the alienating parent, this very sad phenomenon can be carried out equally effectively by either father or mother. I have seen it happen plenty of times on both sides, and it seems to be happening with increasing frequency while the courts and even behavioral health professionals lag behind in their understanding and ability to deal with the phenomenon. For me, it is the most disturbing, frustrating and heart-breaking aspect of family law. My husband’s ex wife did this to both her first husband and my husband (#2). Sadly, my husband hasn’t talked to his daughters in six years. The last communication he had with them was in 2006, when they sent him letters demanding that he allow their stepfather (victim #3) to adopt them. They are now 19 and 17 years old and extremely alienated and indoctrinated. Life has gone on for us and we’re doing fine, but they have thrown away a wonderful dad. -Most likely it will just cost a lot of money and increase conflict. -Yes and that has nothing to do with going to court, they don’t care. How many normal people can actually afford the cost of going to court on a regular basis (plus experts) when they already have to pay huge amounts of child support? Maybe less than 5%. -Real catch 22 there, if you bring it to court, it will cost money, they will ignore you and it will increase conflict. If she brings it to court, it will cost money, they will admonish you and it will increase conflict. Setting the record straight is not disparaging, this can be documented. “parental alienation” has become a trendy catch-phrase that is sometimes used by parents as an excuse to avoid their responsibilities to their kids. -That’s just the standard excuse for any feminist judge absolving themself of responsibility, there is very little credibility to such a statement compared to the very real effects of parental alienation. -Good advice but a big task for a non-expert average guy. More often, social workers will be involved and the court will select custody evaluators and there is very little a man can do to ensure credibility and there is zero accountability. Hiring your own expert would certainly help, but many men blindly believe that social workers and courts are there to ensure the best interests of children. It is utmost importance to maintain the parent child bond and non-judgmental communication with your child. If your child is admonished for their alienating thoughts then they will cease communicating them and they will not be addressed. These issues need to be dealt with the utmost empathy for the child experiencing it. Unfortunately, you’re correct that fighting alienation is very expensive, and most people will not have the resources to mount the kind of defense I’ve mentioned. Experts are expensive. Attorneys are expensive. Even if you can afford it, it’s difficult to find an attorney who understands and can effectively present the case to the judge. It’s equally difficult finding a therapist who is skilled in these issues and can persuade a judge to disregard a custody evaluation by a court-appointed professional. I don’t want go sugar-coat this. Alienation is a very big problem, and until there is reform in the legal system, it’s going to be a very difficult fight with minimal chances of success. You are absolutely spot on when you say that it must be treated with utmost empathy and compassion towards the children. The children are the victims here, not the perpetrators, and it’s the children who suffer most. They cannot dig themselves out of this hell without your help. I wish I had better answers or could paint a more encouraging picture. I wish there were some tried and true method for reversing alienation that could provide more hope, but there’s not. The very best, most effective method of fighting against alienation is to maintain as much contact with your children as you possibly can. It’s when you are separated and your children isolated that the distortions and indoctrination take hold at alarming swiftness. If you are facing this, it will require constant (and I do mean constant) attention, and will demand nearly all of your personal resources, but it is not hopeless. Thanks Natalie and I have been dealing with this for 5 years now. I totally agree with the constant attention. I think it would help me and others if there was a part 3 that actually dealt with some hypothetical scenarios and ideas for maintaining that parent-child bond in a positive and constructive way. I’ve gotten used to it to the point that it’s just not a surprise anymore. I think taking the high road and avoiding expressions of anger is important. There is no good reason to respond with anger and increase conflict. Most often conflict subsides with time, still keeping my fingers crossed. You read my mind, Denis. I was precisely contemplating a Part 3 with an actual case study that involves all the aspects of the alienation phenomenon and the journey through the court system and how a client successfully fought an aggressive alienation campaign. I’m very sorry you have had to go through this. I remember being married to my ex-wife and how much she tainted her 2 sons against me when things were not good between us. Even now being married to PDI number 2 its a more subtle difference but its still used to elicit the same end result. PDI’s use covert and overt methods to tear you down just as they do to build you up. One thing they love to do is push your hot spots in front of the children so that when you react with anger they can portray themselves as innocent victims. I remember this past summer when I took my family on vacation. We were eating at this restaurant and the waitress brought out the wrong order for my PDI spouse. You would have thought that she had a fly in the plate or something. I simply picked up the plate and told the waitress the correct order. My oldest daughter (who actively displays PDI behaviors) commented to her PDI mother “You can’t say anything when I act like that becasue I get it from you.” I replied to her that if she could identify that her mother’s behavior was inappropriate then she had no one to blame but self if she chose to act that way. She looked at me and rolled her eyes and said nothing else. I checked her right there because most PDI’s were never called on their bad behavior as children and teens. Later when me and the PDI wife had an argument, she said that I disrespected her by making that comment. PDI’s use their children to carry out their cowardly deeds especially against the father to gain the one up position in court. Always keep in mind that a PDI is looking for your hot spot and if they know it then you may as well be prepared to take many deep breaths and walk away more times than not. My major hot spot is disrespectful children. My oldest daughter is 15 and thinks she has an opinion about everything even wwhen she has nothing to do with a situation. One morning I was putting my 2 youngest daughters in their place for arguing over semingly petty things when my oldest daughter decided that she was going to confront me. Now, had I not had my PDI radar trap on, I would have walked into this one blindly. I took a deep breath and expressed to my daughter that she wasn’t an adult and that she didn’t have a say in the matter. She tried the passive aggressive route by saying that she didn’t do anyhting and I stood firm on my position without ever touching her or making reference to doing so. It was hard dealing with that situation but I never once backed down on my position. Had I lost my cool like most normal people would have, it may have become physical. These are the types of traps you have to avoid because a PDI parent will have your child go to school and cry foul play. Stand your ground with the PDI and your children too if you see the influence taking hold. Like the PDI adult, the child will retreat a lot faster because they haven’t perfected their craft good enough yet. The PDI adult will retreat momentarily until they see another opening. Unfortunately Natalie, you couldn’t begin to imagine the living hell that many of your clients live through. Being married to a PDI is absolute emotional and mental torture. Alienating your children is the top method of choice to punish the male by these type of women. The PDI is very methodical in that they chose spouses or significant others that they sense will be good and solid parents. You are not chosen just because of your good looks and smarts. You are chosen because they know once they have children with you that emotionally they have set the ultimate hooks deep. After gettting the emotional hooks set in place they will then exploit your smarts and good looks because it gives off the public image they want. I think in Part 3 I’ll include a list of “What Not to Do” as well. I have been reading about the Alec Baldwin-Kim Basinger custody fight, and after the first couple of articles I couldnt tell who the culprit was. Baldwin was claiming parental alienation, but then there are reports of him calling his daughter names, alleged suicide threats, aggression. Whats going on here? Reading further, I concluded that this is in fact a case of aggressive alienation against Baldwin. HCP’s are so maddeningly effective at pushing buttons and engaging in provocative behavior — it is not uncommon for the Non to end up “losing it” and reacting in a self-destructive manner. I believe that is what has happened in this case. All of lawyer’s advice is good. Always take the high road. But ultimately, if you are married to a witch she will be able to turn your kids against you in an almost magical way. I spent all the money I had to maintain contact with my children. My ex wife went through five attorneys and there were probably 12 different mental health professionals. I am a lawyer myself and I ended up just representing myself because both the ex spouse, the GAL, the divorce attorneys will just bleed you dry and spend all of your money. Your kids will be “hostages” and objects used by everyone to get what they want. I had hundreds of false allegations made against me. My house was like a war zone where my ex called the cops or children’s services after every visit. The vry day after signing a shared parenting plan she files false domestic violence charges just to prevent me from seeing my kids in the summer. What do the judges do? Zero. They will never punish her for anything. Getting a GAL was a waste because he will never say a bad word about th mother, though he knows what she has done. He just keeps the fight going to bill endless hours of fees that are not dischargeble in bankruptcy. What a scam. 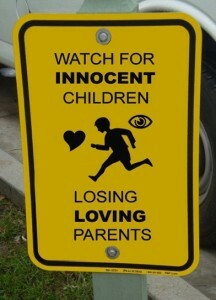 Child support enforcement is free and visitation enforcement will cost you $100,000+! Luckily, the brainwashing never “took” with my little boy who is 11. I see my daughter 5 minutes a week at a restaurant. She doesn’t talk to me. Her mother sits in the parking lot “observing” as we eat. She is highly motivated like that to be a freak. I have moved on with my life. But my 14 year old daughter’s soul has been stolen and I cannot do anything to change that. It is like she dies and I lose her agin every day. All I can do is leave this in the Lord’s hands. Because in the court’s hands I am simply a man who provides money to the children, mother and county. I am a paycheck. I am an object not worthy of respect or protection. I am not not a person with any rights. I am not a person who the children need to see or bond with. The Court adopts the mindset of the alienating mother in every case – even though that mindset is contrary to law, immoral and even psychotic. If the court did otherwise, the alienating mother with the means would attack the judge just like what happened in North Carolina, getting a Harvard educated divorce judge (female) to quit the bench because of the mother’s public campaign against her for taking away custody. The only way to level the playing field is free government-appointed visitation enforcers with automatic financial and parenting-time penalties. Otherwise, the sociopathic mother will continue to reign and destroy her ex spouse, children and ultimately herself. I wish I had married a good witch like Elizabeth McGovern on “Bewitched;” instead I got the Wicked Witch of the West. All too familiar, James. I regret to say that I have been through it as well (and it continues to a lesser degree) and got little to no help from the Court or from my attorneys or from the mental health professionals involved. Until the kids are grown and out of the house, there will always be issues like this when you’re dealing with a high-conflict person (in this case my ex’s wife). My past spouse is dragging me into court tomorrow trying to modify her decree. She has my little boy afraid to stay over at night (so even though Christmas is my holiday) because she wants to ruin it. He is 11. Even though New Years Eve is mine she won’t let him stay up unit midnight. Again, she wants to ruin it. She just wants to screw around and punish me (though she walked out). It is just like clockwork. A cloudy day and she lashes out. The holidays and she lashes out. She wants to drag everyone down into her cesspool. But there is justice in the world becuase when I think about it, nothing ever gets better for her and she lives in anxiety hell right here on earth every day. Her soul is rot out and mine is not. I don’t have to hate her or seek revenge or anything. She does it to herself. And I am not going to stop her. Let her rot. It is bad for the kids but there is nothing you can do because courts could care less. I am just going to go on as if she was an annoying bug. I wish there was some sort of repellent I could spray to keep her from further damagng my kids but alas, no such thing. I am very encouraged to find this site. Part of the process is identifying isolation behavior. My ex isolates the children in order to control inputs as part of the indoctrination. My 13 year old son has been completely indoctrinated and will not talk to me or see me. My 9 year old daughter is still Daddy’s girl but is very conflicted. She cannot determine who is telling her the truth. After 6 weeks of extended visitation during which I was accused of child abuse by the ex (the only means left to gain control), i believe I have made some progress in showing my daughter that Dad loves her. I have sympathy and understanding for the horrid situation both my children are being put in, yet i continue to be compelled to do whatever I can in order to maintain my relationship with them. I need a good lawyer in Southwestern MI familiar with PAS. What is the current status of state and national recognition of the gaping deficiencies in legislation regarding PAS?? It’s not just against the men. My ex-husband is doing it to me. He has been with our only daughter since we adopted her at age 3 (now 12) from China. He wants me to have nothing to do with her. We have to biological boys ages 11 & 16. He has managed to falsely accuse me of abuse to cps twice and to the cops 1. The GAL on our case is totally biased against me. He makes over 3x the amount of money that I do and I think this has a lot to do with why he is getting away with all he has. There are significant changes in my kids since they have had to be with him more. It breaks my heart. I am fighting hard for my kids, but only God can save this. I am a mother with 2 sons, my youngest is going through a nasty divorce. This person deceived our whole family and after the marriage she turned on all of us. They have 1 child and I am appalled at the comments she has made about our family and the things she has done to my son including trying to alianate him from his family. He finally saw her for what she really is and now she has filed for divorce because she thinks he should abandon his parents and his brother. She says we are the crazy people but there is true evidence of her family being the crazy ones. The lawyers and her have drained his checking account. I cannot believe what our justice system is doing to stay in business and creating a whole slew of disturbed children in the process. This is unreal, isn’t there any justice for a person who just wants to be part of their childs life.